IIoT is more advanced than commercial IoT, where the data collected by sensors in the industrial world are more critical. 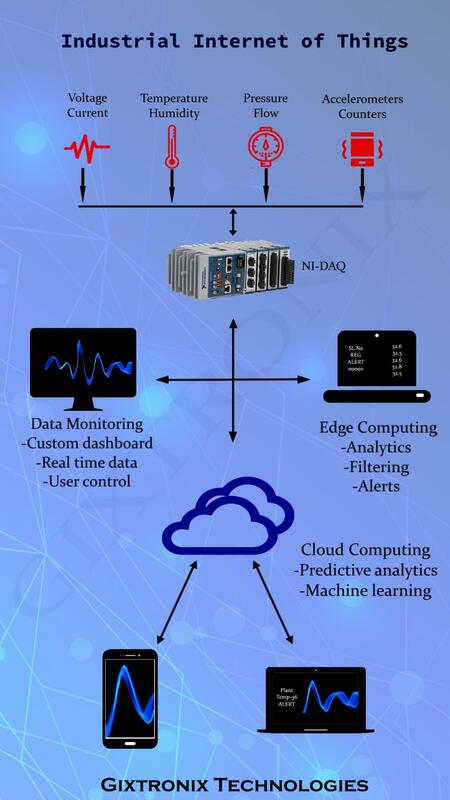 are acquired using high accuracy DAQ then data is transmitted to cloud for monitoring, analysis and optimization. This include's Machine control, Condition monitoring, Data acquisition . We help you to setup an Industry 4.0 with our highly specialized tools customized for you.